Provides gentle all over cleansing for face, hands and body. 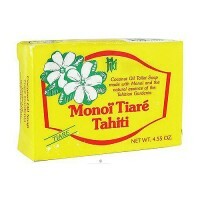 27 Percent glycerine for softer skin. Clearly natural peppermint glycerin bar soap is a transparent bar that provides gentle all over cleansing for face, hands and body. 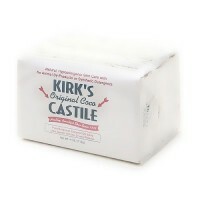 Clearly natural peppermint glycerin bar soap mild, all vegetable formula is ideal for all skin types. Clearly natural peppermint glycerin bar Soap has a high glycerine content of 25 percent. 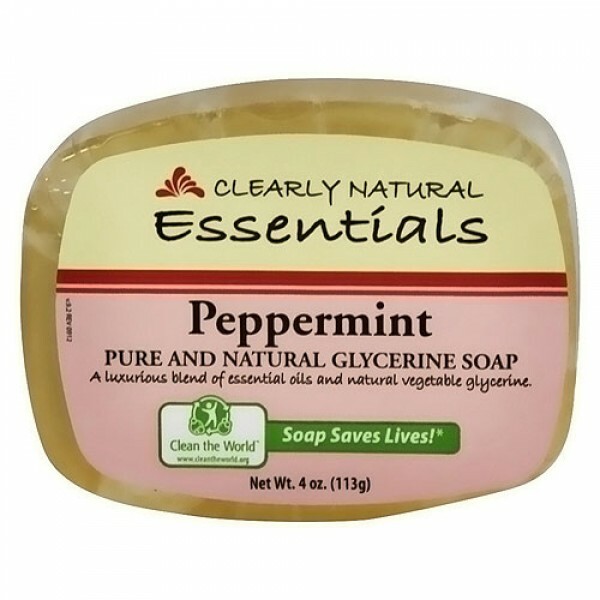 Clearly natural peppermint glycerin bar soap is non drying and will not leave skin dry or itchy. Clearly natural peppermint glycerin bar soap rinses off easily and leaves no sticky film on your skin or your tub. 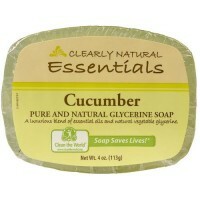 Clearly natural peppermint glycerin bar soap is an all vegetable formula with no pore clogging animal ingredients. Clearly natural peppermint glycerin bar soap is hypo allergenic and dermatologist recommended. Clearly natural peppermint glycerin bar soap is biodegradable from making it to using it, clearly natural peppermint glycerin bar soap doesnt harm the environment. Clearly natural peppermint glycerin bar soap comes in an attractive, transparent style. Clearly natural peppermint glycerin bar soap is hypo allergenic and cruelty free. Natural and vegetable derived cleansers, vegetable derived glycerin, and saponified vegetable oils, fragrance: our soaps contain less than 1% fragrance so they are not overwhelming or irritating to sensitive skin types.